A number of objects in Abbot’s Hall and Crowe Street have been “tagged” with QR Codes. When scanned by your mobile device these will take you to more information about an object and give you the chance to leave comments. Here’s our simple, three step guide to using QR codes. 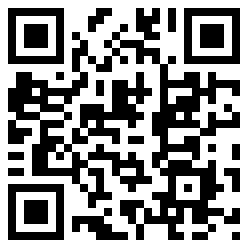 You can download a variety of QR code readers for free from Android marketplace or the iPhone or Blackberry app stores. Although there is a mobile internet signal in Abbot’s Hall, it may be best to download and install the code reader before you visit the museum. Once your code reader is installed, simply scan the QR code next to your chosen object with your phone and you’ll be taken straight to a website page with further information about the item, images, audio clips and fun facts. Once you’ve scanned an object, you can add your thoughts and memories of it at the bottom of the page.